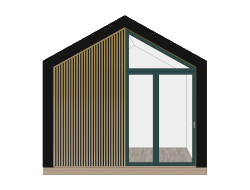 Based on our original design created in 1998, the updated edition of the Shomera range incorporates a single door, a floor to ceiling glazed feature window, an opening window and a profiled tile sheet pitched roof. 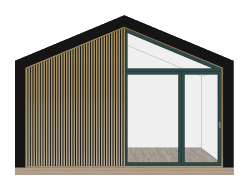 The Shomera range of garden studios respond to the needs of locations that require a more traditional profile without losing the contemporary functionality that so distinguishes the Rooms Outdoor range. 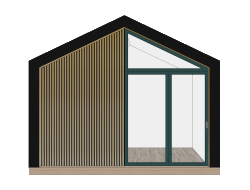 The vaulted ceiling and the floor-to-ceiling glass ensure that the Shomera range of garden studios enjoy the same light and airy feeling as the other models in our product range.